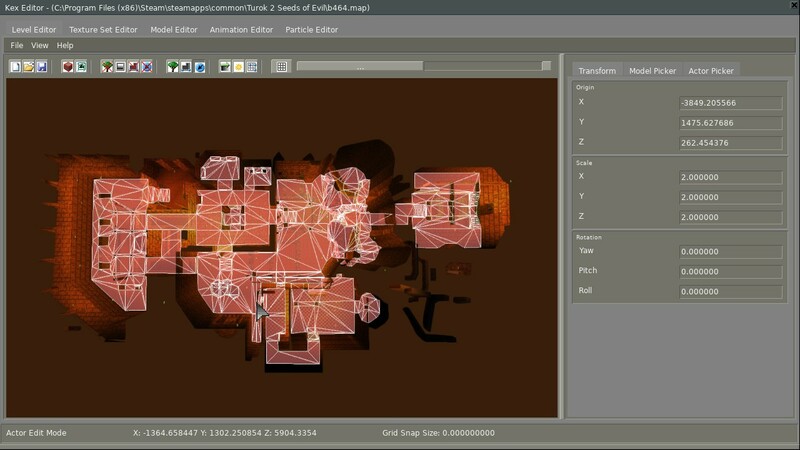 This is going to be a SP level for Doom and Turok 2. 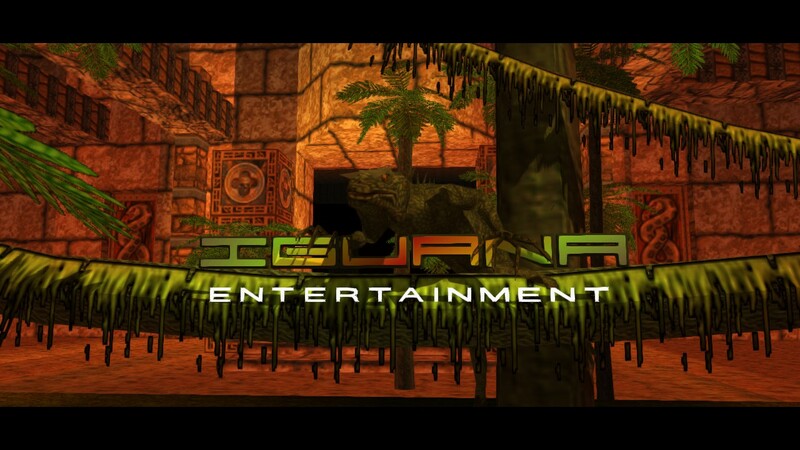 It will be added into my Turok Lives Again Mod. 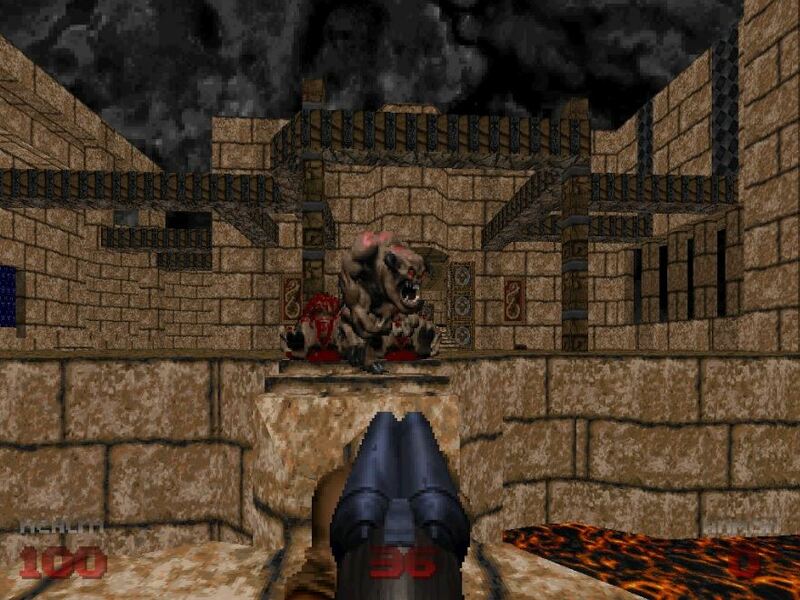 Using Blood Textures and Doom 64 resources. Credits text has all info in release. 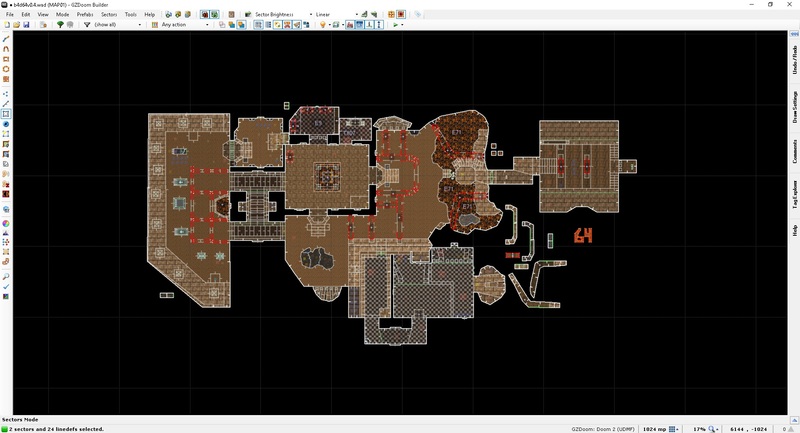 Made my Doom map first. Kind of a quick map took me about 15 hours but don’t sleep on it. Updates to the map after video. 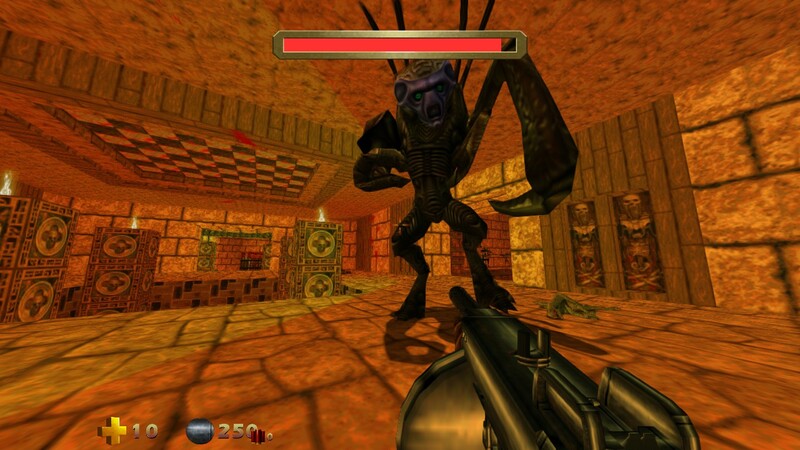 Now that I have completed the Doom version with all of the game play implemented for SP. Time to start converting it to Turok 2. 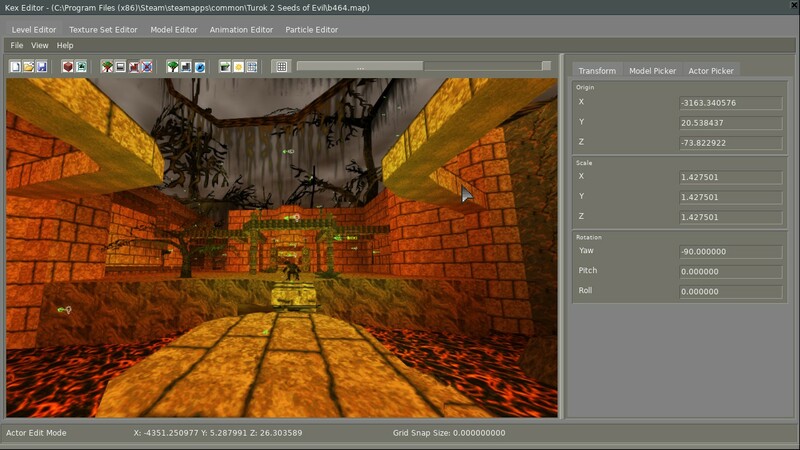 First we need to export the Doom level as a model and most likely we will have to do some face editing. 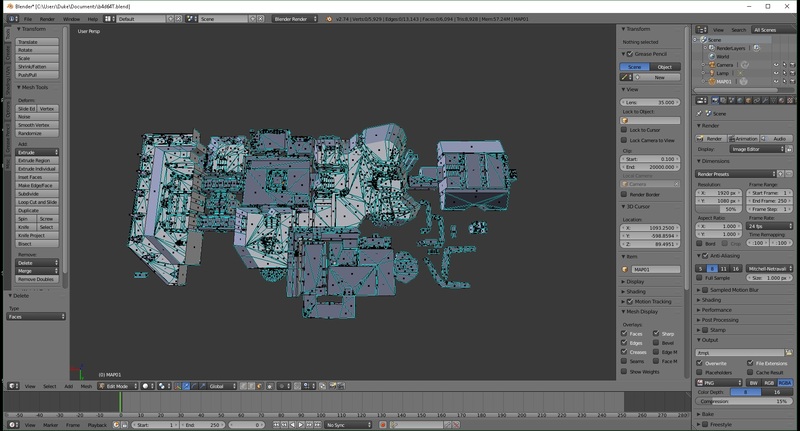 Sky Boxes are illusions in Doom so the model creates sky faces.Lots of cleaning up to do! 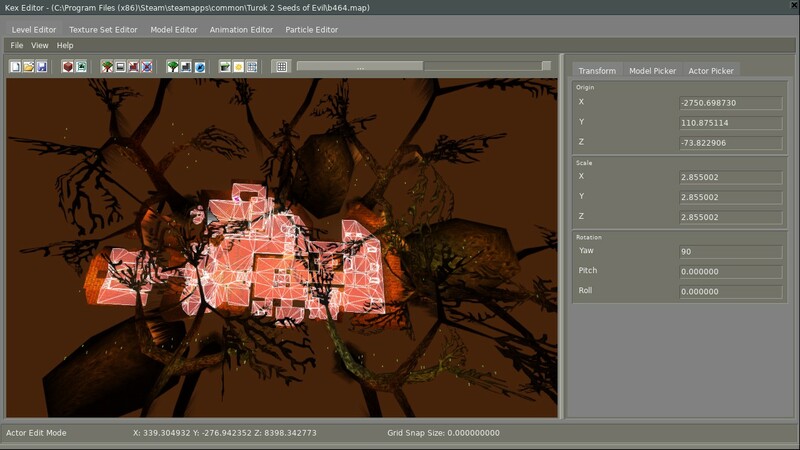 Now that the model is all cleaned up time to move it to Fireseed a Turok 2 tool made by Behemoth Programmer. 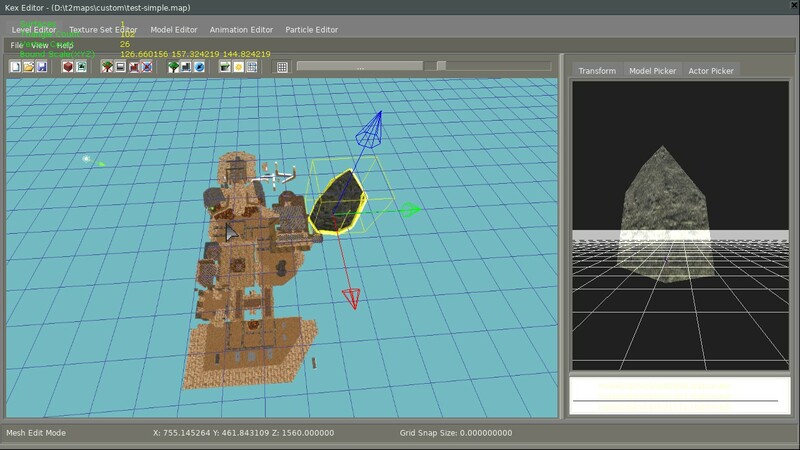 Next is import it to Turok with the correct resources lining up in the mod so it works right in the editor. Placing the model in T2! 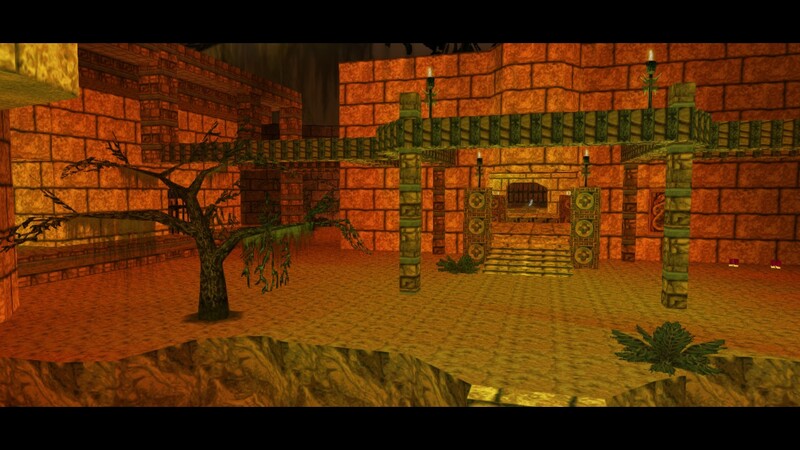 Wow Turok 2 has a powerful lighting/coloring system I love it! 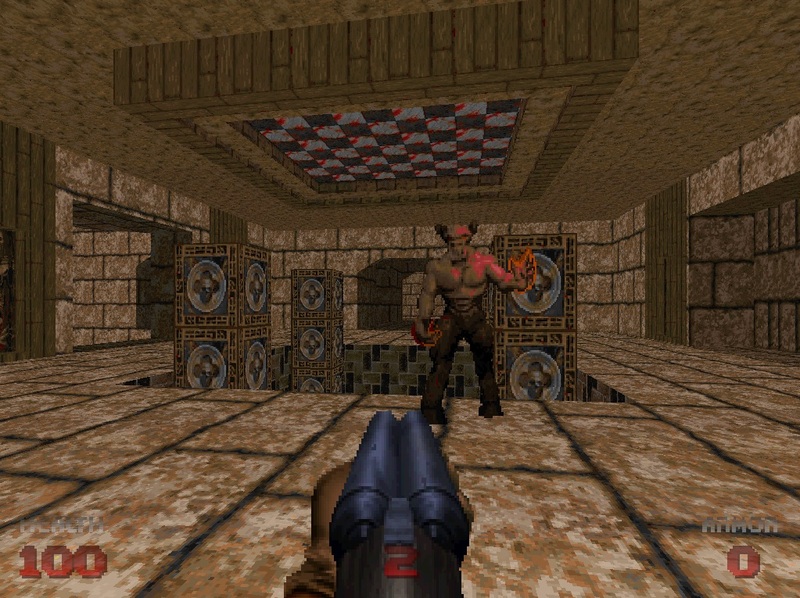 Behemoth Programmer hooked me up with the Primagen boss and I have added him into my map to replace the infamous Cyberdemon in my Turok 2 version.